In October 2018, a delegation of 13 members from Vitagora and Wagralim took part in a partnership mission to Canada, on the occasion of BENEFIQ, the healthy food event in Québec city, and thanks to the support of Natural Products Canada, the NFIF local partner. Over four months, Atelier du Fruit (FR) had been actively engaged in the mission preparation. As a first step, a diagnosis had been completed for the company’s internationalisation to understand the needs and the relevant support to be implemented to access the market. Next, the profile of targeted partners was identified, which enabled the Canadian counterparts to suggest potential partners. Finally, the partners were screened to feed the matchmaking plan. After taking part in the ToasterLAB acceleration programme, completed in June 2018, Atelier du Fruit was ready for its internationalisation. Also, Canada had been a market of interest over the past years, to develop partnerships with food and beverage manufacturers as well as to develop collaborative projects with research organizations. Being a small company, the personalized and medium-term support enabled them to make progress and optimize resources. During the mission, Atelier du Fruit gained a good understanding of the market. The relevance of their technology on the Canadian market was confirmed. 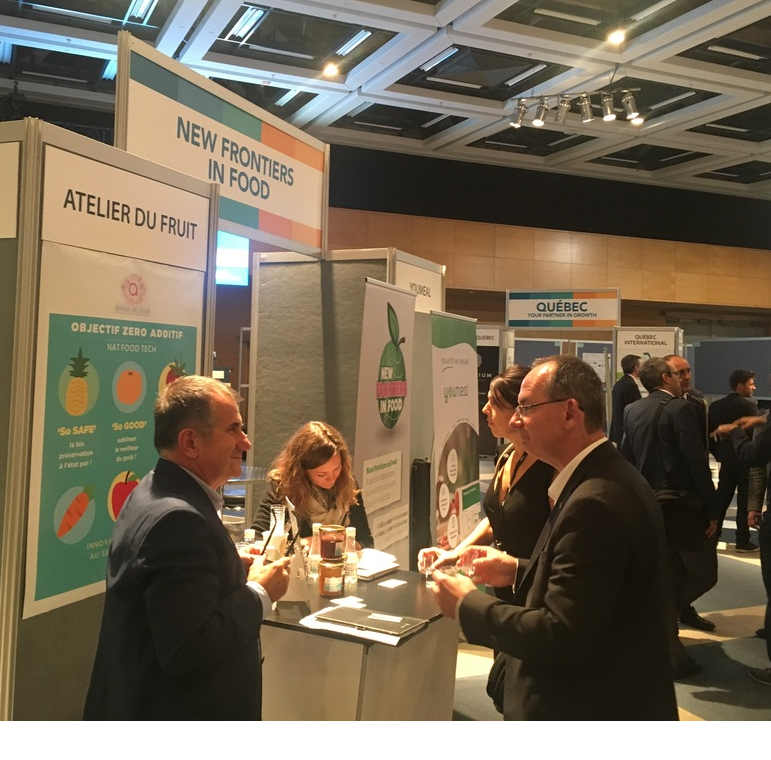 Indeed, from the 26 B2B meetings carried out, Atelier du Fruit has planned to follow-up with 13 of them. Two months after the mission, one partnership has been signed and four others are under discussion. Several preparation meetings before the mission were necessary to source and screen relevant contacts, from local institutions, research organisations to key industrial players, and ensure alignment with Atelier du Fruit. As the market potential was confirmed during the mission, the follow-up, carried out both by French and Canadian counterparts, is currently focused on the regulatory issues to transform such potential into business. About Atelier du Fruit: supports food companies by providing natural solutions based on natural processes to enhance taste and bio-preservation as well as reducing sugar content in foodstuffs and beverages. Atelier du Fruit then ensures the supply of the optimized enzymes and strains.